A passenger ferry passing Sydney Opera House below a blue sky. 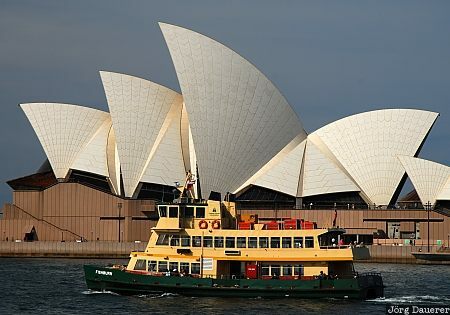 Sydney is the capital of New South Wales in the east of Australia. This photo was taken in the afternoon of a sunny day in April of 2007. This photo was taken with a digital camera.